What vehicles can I get logbook loans against? Logbook loans against your car are a perfect way to get larger cash sums quickly and easily. But at Car Cash Point, we don't want to put anyone off borrowing from us, even if they don't own a car. So just what vehicles can you get logbook loans against? If you own a mode of transport with four wheels, two wheels or even no wheels at all, you've come to the right place! When people look for more information about logbook loans, it's easy to jump to conclusions and assume that Car Cash Point can only offer loans against cars, especially with our name! However, we do understand that not everyone has a car in the first place, but they still need a fast and simple way to get a lump sum of cash to help them out financially. If you find yourself in this position, don't worry. We'll still be able to help you withdraw the cash from your vehicle in exactly the same way as you could with a car. It's true that the majority of the loans we help people with are against their car, but we're more than happy to offer financial help to people with other forms of transport too. So, whether the ride you own has four, two or even no wheels at all, Car Cash Point can help you get the money you need as a fast loan - without the need to sell. Car Cash Point's main area of financial help goes to people with cars. It's a simple process that allows you to withdraw the cash from your car in the form of a secure logbook loan. Though your car is used as security for the duration of the loan, it does mean that you're still able to use it in exactly the same way, with no interference from us. But there are lots of other vehicles on the roads that aren't cars and we're keen to help the owners of them too. This is why we can offer the same style of loans across many different vehicles that should cover whatever transport you own - even caravans. Motorhomes are just one example that many people think may not be eligible for a logbook loan. But they'd be wrong! Our loans work in the same way, so as long as you own the motorhome outright and it's free from any finance, then you'll be able to withdraw the cash from it and still enjoy using it for your long weekends or festival breaks. Vans are another good case in point and you may be using a van every day if you're self-employed. Again, if you own it outright, there's no reason why you shouldn't be able to take out a logbook loan against it in the same way as your car. You can release the money held in it, allowing you to reinvest into your company if you need to, helping you and your business grow from strength to strength. Vehicles, including cars, vans, caravans and motorhomes, that you own outright can all help you release the cash they hold with our loans ranging from £500 to £100,000 over one to three years. 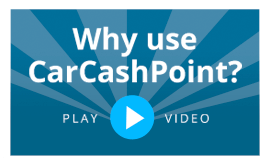 The amount depends on how much the vehicle is worth and your ability to make the repayments, but being one of the cheapest and best value logbook loan providers in the UK, Car Cash Point can help you with money when you need it most. With the logbook loans available from Car Cash Point, you can continue to use your vehicle in exactly the same way as you do now. From the daily school run to a quick trip to the shops or long driving holidays across the UK or Europe, your car or other vehicle is still yours to use day to day as you wish. However, while you benefit from the same loans, we can also offer you a storage only option on even more vehicles. It's possible that you could own a second, or even a third, vehicle that might not be used with the same frequency as your car, or even at all. If you fall into that category, why not save space on your driveway or in your garage, unlock the money held inside the vehicle and put it to good use? A lot of people love the freedom of having a motorcycle. Road trips and long journeys can certainly blow the cobwebs away and give you a sense of independence, even with a pillion passenger. But however much you love the bike, sometimes your circumstances can change. Over time, your family can arrive and grow in what feels like the blink of an eye and your bike might not be quite so practical anymore. So rather than keep the motorcycle in your garage, you could take advantage of Car Cash Point's storage-only option. The process is similar to our standard logbook loans, but rather than continuing to use the bike regularly, you hand it over to us and we provide safe and secure storage offsite in a professional facility for the length of your loan. We also offer the storage only loan option on other vehicles too. So if you're looking for a cash injection, but have no everyday use for your other vehicle, then it's certainly worth consideration. And it doesn't necessarily need to be small or have wheels either! 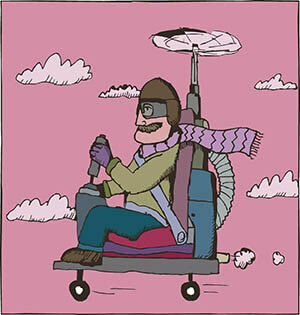 In fact, our loans can be taken out against almost any vehicle - including boats, light aircraft and even helicopters! Our Car Cash Point customers come from all walks of life and while many take a standard loan against their car, we do have an opportunity to help those with transport and vehicles that are slightly larger or more expensive than your average family car. We recognise that every client has a unique borrowing requirement, regardless of their background, and deserves a bespoke, fast and secure lending option. To that end, we have our Prestige and Vintage asset loans, where we can offer you higher loan amounts based on the higher quality of your car. So if you're lucky enough to be in ownership of a BMW, Aston Martin, Ferrari or similar, we can offer you much higher loan amounts. 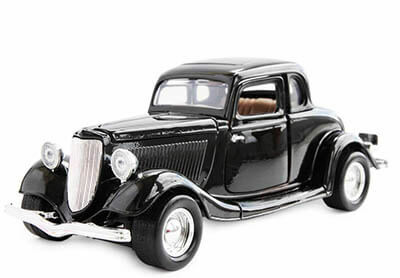 The amount you can get with our Prestige and Vintage car asset loans will depend on the current trade value and overall condition of the vehicle. However, we can offer money up to 75% of the trade value with loan funds ranging from £1000 all the way up to £1,000,000. Repayment periods can cover from one to five years to suit you and your budget. Whether you come to Car Cash Point in crisis looking for an emergency loan or just want to take the family away on a luxury holiday, we can help you. 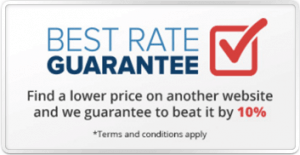 Car Cash Point is one of the UK's cheapest and best value provider of logbook loans and we can offer you unbeatable rates with our APR being one of the lowest in the UK. 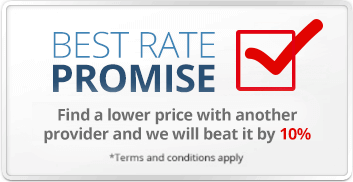 If you do find a lower rate elsewhere, we'll beat that price by 10% - Guaranteed! We also have absolutely no hidden fees. Being authorised and regulated by the Financial Conduct Authority, we can offer you fully transparent, ethical and responsible lending options, no matter what vehicle you own. Any fees you might incur during your loan are made clear to you upon application, so there are no nasty surprises lurking to bite you. We also won't penalise you for either settling your loan early or making overpayments if and when you want to. And with repayment terms available that suit your own financial circumstances, you can choose to pay weekly, fortnightly, four-weekly or monthly - it's up to you. Plus, we'll never offer you a repayment term that puts you in financial difficulty. What's more, whichever option of logbook loan you want to go for, we're the only UK lender to never undertake any formal credit checks. Bad credit is one of the main criteria that holds back people's loan applications when they need the money most. But at Car Cash Point, we don't do it. We simply use your car or vehicle as the security against your loan. So from a car or motorbike to a boat or a helicopter, Car Cash Point have logbook loans available to suit every customer and every budget. And while some loan companies can inexplicably make you wait for your approved loan, we'll transfer your money into your bank account on the same day - usually within just one hour! As well as unbelievable rates, we also have an unbeatable, award-winning customer service team waiting to help you. Call our trusted expert advisors today on 0333 220 4419 for more information on any of our logbook loan options. They can answer any questions you have or give you clarity on anything you're unsure of, helping you release the funds you need when you need them most.